Hindu statues by tree at the city road in Goa, with vehicles passing. Vehicles passing down the road in Jodhpur. GOA, INDIA - 26 JANUARY 2015: Colorful street stand in the night time in Goa, with vehicles passing. 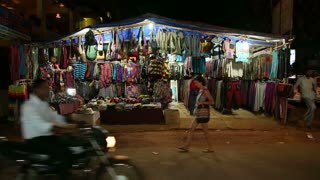 GOA, INDIA - 26 JANUARY 2015: People and vehicles passing down the street bazaar in night time in Goa. GOA, INDIA - 25 JANUARY 2015: Vehicles passing down the busy road in Goa. GOA, INDIA - 25 JANUARY 2015: Vehicles and people passing down the street near market in Goa. 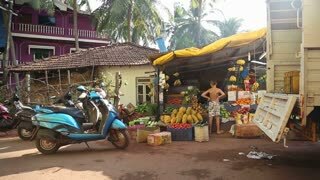 GOA, INDIA - 25 JANUARY 2015: Fruit and vegetables shop in Goa, with vehicles passing by. 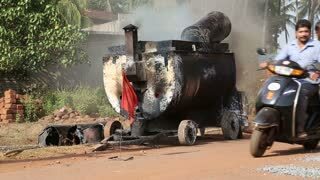 GOA, INDIA - 23 JANUARY 2015: Vehicles passing by smoky machinery on the road. Vehicles passing by the road's constructions site. 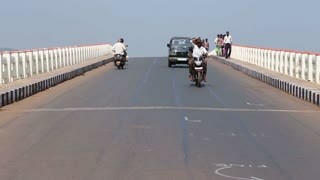 GOA, INDIA - 23 JANUARY 2015: Vehicles and people passing down the bridge in Goa.